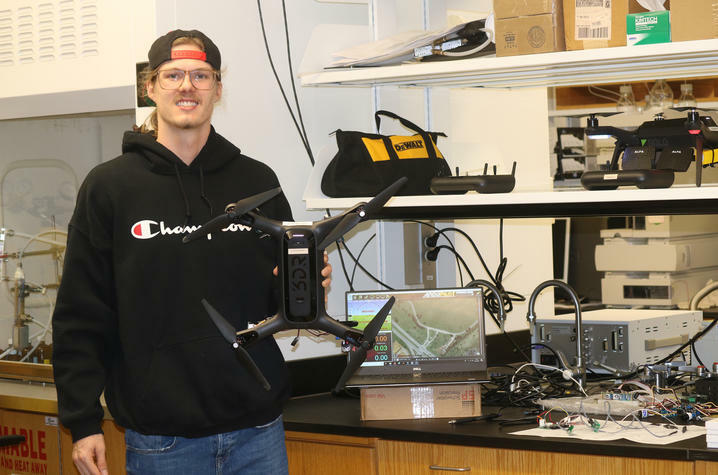 LEXINGTON, Ky. (April 10, 2019) — A University of Kentucky doctoral student and chemistry professor have measured environmental variables during high-altitude, unmanned aerial vehicle (UAV) flights for the first time, reaching a better understanding of meteorological conditions to enable the next generation of weather forecasting models. Travis Schuyler, a doctoral candidate in the UK Department of Chemistry, working with Marcelo Guzman, built a system for fast sampling of temperature, pressure and humidity for the HiDRON glider, a high-altitude measurement platform developed by the earth observation company Stratodynamics Aviation Inc. 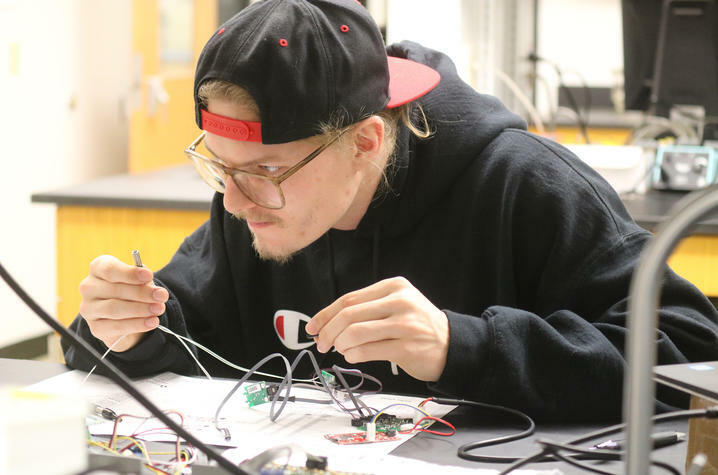 According to Schuyler, part of the challenge involved engineering the instrument to fit in the glider fuselage, and to integrate it along with other important hardware and avionics systems to enable the unmanned flight and collection of atmospheric data. 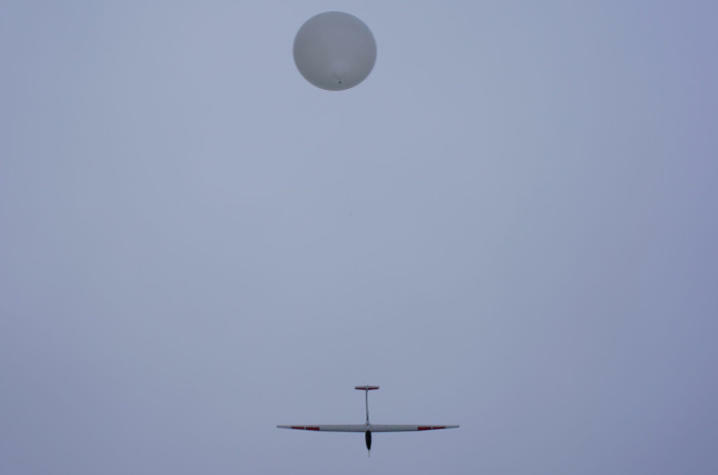 “This is the first time that this kind of atmospheric-sensing equipment has been integrated into a balloon-launched, unmanned glider and the results will enable the evolution of new UAV technology and in-situ observation methodologies," Schuyler said. 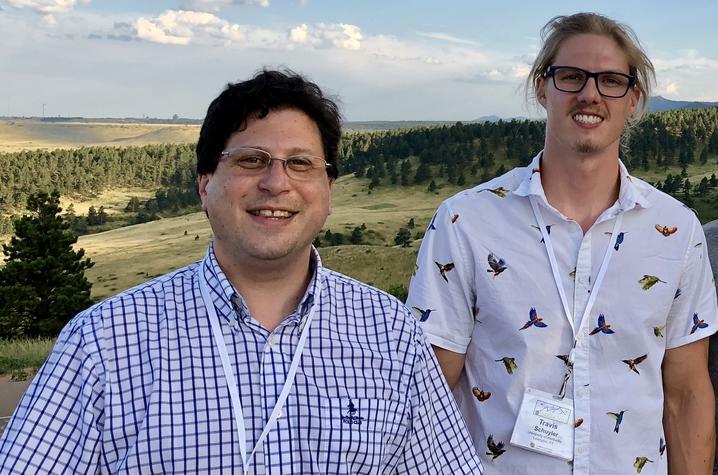 “A project goal is to better understand meteorological and weather forecasting models by measuring atmospheric conditions during high-altitude aerial vehicle flights, and we are very excited to share the data collected using the HiDRON with the scientific community,” Guzman said. Schuyler and Guzman's project was in collaboration with a stage of HiDRON flight tests by UAVOS Inc. and Stratodynamics Aviation Inc. The companies successfully reached an altitude of 25 kilometers (82,000 feet) for the first time. The UK team members have submitted their results to a peer reviewed publication. “We got amazing data in the descent from 25 kilometers, all the way down," Guzman said. "Flying to 25 kilometers is not at all an easy task, and it required special government/military authorization in Belarus. The sensors were completely new and designed for the challenge of operating under the extreme conditions at this altitude." Read more about the projects at www.uavos.com/hidron-measured-weather-conditions-in-the-stratosphere. The University of Kentucky is increasingly the first choice for students, faculty and staff to pursue their passions and their professional goals. In the last two years, Forbes has named UK among the best employers for diversity and INSIGHT into Diversity recognized us as a Diversity Champion two years running. UK is ranked among the top 30 campuses in the nation for LGBTQ* inclusion and safety and the Chronicle of Higher Education judged us a “Great College to Work for.” We are ranked among the top 10 percent of public institutions for research expenditures — a tangible symbol of our breadth and depth as a university focused on discovery that changes lives and communities. And our patients know and appreciate the fact that UK HealthCare has been named the state’s top hospital for three straight years. Accolades and honors are great. But they are more important for what they represent: the idea that creating a community of belonging and commitment to excellence is how we honor our mission to be not simply the University of Kentucky, but the University for Kentucky.